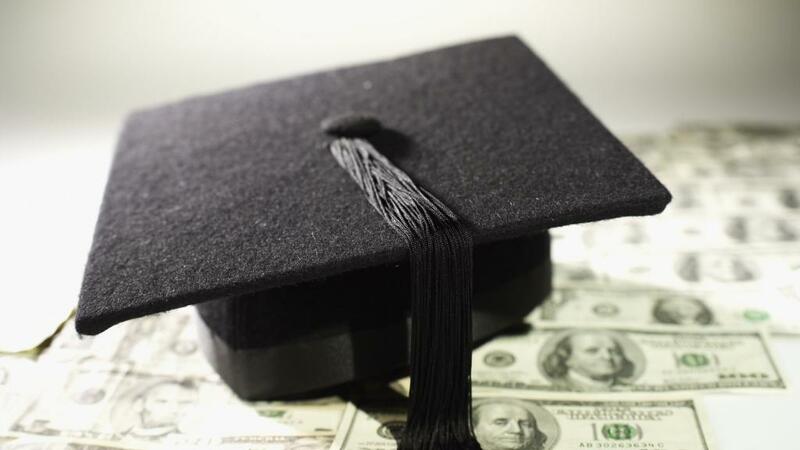 Student loan repayment plans might be the next big work perk. Another company is offering employees extra cash to use to pay down their student loan debt. Natixis Global Asset Management said it would give $10,000 to workers who have federal student loans. Employees will receive a $5,000 lump sum after their five year-work anniversary and $1,000 a year for the next five years. The program will start in the beginning of 2016 for the firm's 525 U.S. employees. "We decided it was time we put our money where our mouth is, and make sure our own people are on sound financial footing," said Tracey Flaherty, the senior vice president of retirement strategies at Natixis. The firm's own research showed that student loan debt is keeping one-quarter of Americans and one-third of Millennials from contributing to their company-sponsored retirement plan. Putting off retirement saving can have huge implications in the long run. It's much better to start stashing away even a small amount when you're younger, since compounding interest over time can add up to a substantial nest egg. "The power of compounding cannot be overestimated," Flaherty said. Natixis isn't the first to offer money for student loan repayment, but it is ahead of the pack. Just 3% of companies offer the benefit, according to the Society for Human Resource Management. It follows a similar announcement from PwC, which will give eligible employees up to $7,200 over six years to pay off their student loans. PwC is using another company called Gradifi to help administer the program. Workers will sign up for Gradifi's Student Loan Paydown Plan and the company will distribute the funds from PwC directly to their loan servicers. Gradifi CEO Tim DeMello said he expects 100 companies to partner with him next year. "The 401(k) transformed retirement planning for an entire generation of workers, and we are doing the same for student loan debt with our introduction of the SLP Plan," he said.